ActionCOACH ActionCOACH started as a self-employed lifestyle franchise. That’s what we advertised, that’s what we’ve got. There are now more than 200 coaches aiming to do five to 15 hours of coaching a week, make £100,000 plus a year and have a great work-life balance. It’s about rolling out the best business growth system in the world to business owners. After all, nine out of ten companies are failing every ten years – but our clients aren’t. However, the sad reality is 16 years in I woke up in a cold sweat at four o’clock in the morning on the 3rd of January because less than 5% of business owners were aware of the cure to the cancer that’s probably going to kill their business. And when an owner loses their business they don’t just lose a company but their livelihood, self-esteem and dream. We had to find a new way to get ActionCOACH’s message out, so introduced the Firm Builder model. What we’ve done is divide the UK into 230 defined territories with at least 10,000 active businesses in each. The goal is to make every business owner in every territory aware of ActionCOACH. Firm Builders establish teams of a dozen or so people to communicate the opportunity and the new model also allows us to market UK-wide. This year, we’re starting mass-media advertising of the service on television, digital marketing and through strategic alliance building with every trade and professional body. We’re helping Firm Builders grow their revenue and we’re both sharing in the rewards of that. But ultimately, the most fulfilling part of the model is every business owner becoming aware of the brand, with the opportunity not just to help their business survive but get it into growth mode and start delivering the kind of profits and lifestyle they dreamt of when they first began. Engage & Grow Ultimately as a business owner you’re in a rowing boat with your staff and you’re trying to reach a certain destination. And if some people are paddling the wrong way or most people aren’t paddling at all, then you’re never going to really arrive, are you? The truth is only 11% of employees in UK companies will go the extra mile for the business, according to Gallup, the analytics and advisory company, which is absolutely shocking. There’s a whole chunk of people in the middle doing the bare minimum to keep their job and then there’s something like 21% who are actively going against what the company wants. We searched the world for the best possible solution to tackle that, found the Engage & Grow organisation in Australia and brought it over to the UK. Engage & Grow deals with that critical team piece of a business by increasing employee engagement by an average of almost threefold just in the first 12 weeks with a company. Obviously, that needs maintaining and sustaining through regular programmes but it’s incredible how much difference the first engagement of 90 minutes per week for 12 weeks makes. We didn’t have a solution anywhere near as good as that within ActionCOACH – and ActionCOACH has some great tools around team-building. ProfitPlus You can’t build a great business without a great business plan. It’s so important that Brad Sugars, founder of ActionCOACH, used to spend days creating them and just thought ‘There has to be a quicker and easier way.’ So he brought in a guy called Nic Clark, the most amazing IT technical wiz he knew and over the last decade Nic created a system which can forge a five-year business plan in literally a day or two. It made him think ‘Hang on a minute here – this would save business owners a lot of time and money,’ and it certainly has. That’s when ProfitPlus was born – a live business plan where you can monitor actuals against performance, tweak it and run what-if scenarios, which is an invaluable tool for businesses. And because of the economies of scale and little time it takes we’re able to make those available to business owners from £2,000 upwards. When commissioning an accountancy practice to develop a five-year business plan, you’re instead typically looking at a month or two to write it and an investment of £5,000 to £20,000. The reality is most business owners out there who have been going for more than a year or so are spending longer planning their holiday than they are their business. It’s insane. You can’t expect to make it to the summit of the mountain without a clear plan of how to get there and a guide who will help you along the way. Our ProfitPlus advisers are able to help clients create a solid plan, a more valuable business and more lifestyle for themselves. training meant Morgan had to squeeze four weeks of learning into two, which proved “amazing and really hard probably in equal measures,” she laughs. But support didn’t end there, as ActionCOACH hooks franchise partners up with coaches of their own. “Obviously we’re [giving] leading coach[ing] with our clients, so why would we not have a coach to help get us where we need to be?” Morgan says. Indeed, from giving presentations to building a launch event, she was never left hanging. Such constant care has seen Morgan going strong for six months now – and she already has big plans in store for her business. “In five years? Getting towards a million pounds turnover,” she aspires. It’s certainly a far cry from her lacklustre engineering experience all those years ago. “I feel like I’ve come home because for me, I’m doing what I love: working with my clients helping them grow and coaching,” she concludes. ALWAYS RIGHT The action in ActionCOACH isn’t just there for nothing – results are tangible. And who better to pay credence to such a notion than the clients, who not only have plenty to say about their business’ success but how they’ve grown as a person thanks to the franchise Charles Gulland, MD of Wigwam Holidays What was life like before using ActionCOACH? We were very much a builder first and holiday company second and it was a scary time. I was often working seven days a week. We knew we had to really think through what our niche was and our unique selling point. Why did you make the jump? I needed to systemise the business. I needed to think through strategically how I can win back some personal time and how we can do things more effectively and efficiently. I’d come into my company with the technical knowledge but no real knowledge of business whatsoever and I knew I needed this. What have you personally achieved since using ActionCOACH? I was personally getting a far better understanding of why we were in business and this was setting, if you like, the compass of where we were actually traveling – me as an individual and us as a team and a company. Absolute clarity of what our goals are has made the biggest difference to my business. How has your company grown since? Seven years on we have 25 employees, so we’ve had substantial growth with the team [by] working with ActionCOACH. Our turnover for this year will be more like £2m. Looking back, how would you summarise your experience with ActionCOACH? We’re a growing company, we need to continually recruit and grow the team and develop the systems. But I’m very satisfied with my work-life balance and I’m very satisfied with what the business is delivering for my family. So overall, I can honestly say that ActionCOACH has been an integral part and vital part of our journey. Javan Bramhall, MD of Digital Glue What was life like before using ActionCOACH? I’[d] been running the business for just under a year. It was going ok in terms of I had a job for myself, was doing the work and delivering work for clients but it wasn’t really going anywhere particularly, it didn’t have much of a direction. I wanted a sense of accountability, I really wanted someone to force me into doing the right things. As a business owner I thought you broadly know what the right things to be doing are but I think sometimes the ability to actually focus on and do those things is taken away by day-to-day pressures or urgent things that might come in. When I was on my own, even in the first few months of working with ActionCOACH, I’d probably be doing 70 or 80-hour weeks. I’m now doing, standard, probably [a] 45-hour week. But the point about that time is that’s time that I choose that’s flexible around me. So I do school runs on a Wednesday, with the kids I take Tuesday afternoons off [and] sometimes go and see them swimming on a Monday afternoon. I started the business five years ago [and] when I appointed [ActionCOACH] it was [just] me. We now have a team of nine full-time staff. Gross profit when we started with [ActionCOACH] four years ago would have been about £40,000. In the last financial year our gross profit would have been about £400,000. So net profit would have been minimal at that stage maybe £20,000 [and] we had net profit last year of £125,000. So it’s about a six or seven times increase. ActionCOACH has enabled us to, yes, grow a business for ourselves as business owners and that’s obviously very important. But it’s also really enabled the guys there to have a fantastic job and work for a company who really value the individual and I think ActionCOACH has allowed us and enabled us to create a working environment which I’m really, really proud of. It’s all in the name – Engage & Grow sees clients achieve exactly what it says on the tin with their businesses. But if some extra convincing is needed, look no further than these happy customers of Pete O’Keeffe, the Engage & Grow coach Lisa Brown, manager of Accounting Workshop Why did you choose an Engage & Grow coach? The content of the programme covers a vast range of areas and having the vision and goal of the partner identified at the start of it makes it clear where the organisation wants to go. [It also] includes the whole team rather than just the partner driving change. What sort of strategies did you adopt? I feel the programme has highlighted a lot of key areas for us to work on as a team and it’s also highlighting areas for us to work on as individuals. This in turn gets everyone to feel part of the team and the business and their productivity increases. They can also see what’s important to the business owner and why, which helps them understand the business from a different perspective than just that of an employee. What has your company achieved since? Although as a team we still have areas to improve on, the training has definitely impacted the way people think. Some of the team have started to take more of an interest in the success of the business rather than just turning up for work and doing their hours, realising that if the business does well they’re more likely to benefit. Jamie Love, property manager at William Property Management Why did you choose an Engage & Grow coach? Prior to the programme we had staff members who, because they’re different people, didn’t see eye to eye and showed little prospect of doing so. Following their time with us, Pete and Janelle have brought the office closer, made staff more proactive and helpful and motivated us all to focus on key areas that benefit individuals as much as the team. I would recommend this programme to another business as I have seen a change in myself and my colleagues in the way we work as a team, communicate and treat each other. There is a more fun, bubbly atmosphere in the office which can be noticed. WHAT THE CLIENTS SAY With a game-changing system and the opportunity to make a huge difference among other things, not much convincing is needed to become a ProfitPlus adviser. However, as the old saying goes, the customer is always right – so hear it straight from the delighted clients of ProfitPlus advisers Paul Greenwood and Ian Squires Jon Pay, MD of Cool Buildings How has ProfitPlus helped your business? The business planning process helped me focus on the elements of my HDL Construction company that made the best return. Working with the ProfitPlus team helped me identify an area of the business that was both profitable and scalable. We modelled this area of the company and this led me to use our structural alterations services and project management expertise to develop a new business called Cool Buildings. The new business designs and builds leading edge steel and glazed extensions for homes that create inspiring spaces. We have already built a number of high quality extensions that have had great reviews from our clients and we’re now working with the ProfitPlus team to achieve our business plan forecast. Dee Booth, founder of Sleep Fairy & Parent Rescue How has ProfitPlus helped your business? Working with the Business Navigation Services team helped show me how to build a business that could grow and scale and get the right work-life balance for myself. The planning process enabled me to understand my margins and the costs associated with business growth and building a team. The sales and marketing plan has really fuelled growth and we have doubled our sales and even flown overseas for a recent assignment. What’s in store for the future thanks to ProfitPlus? We’re now working together to implement the business plan and are already updating our forecasts and looking at new opportunities and scenarios. the kids. Prior to that he worked in sales and marketing, which allowed the sports venture to scale at pace. That rapid growth meant Ewer had to juggle various tasks including invoicing, admin, recruitment, deliveries and, of course, sales and marketing. “I was having to peddle harder and harder and harder to keep on top of everything,” he admits. “Whilst from the outside perspective I had a very successful business, actually it wasn’t that much fun to be running.” Given that, it was actually his wife that had a lightbulb moment which she shared with her husband, suggesting that he would make a great business coach. “I had no idea what business coaches did, I didn’t really know they existed, but I Googled it and ActionCOACH came up and I gave them a call and asked them ‘What do you do?’,” Ewer says. That call led him to leverage his experience to become an ActionCOACH franchise partner. It was something that resonated on an even more personal level as Ewer’s father was also a business owner making good money but it took its toll on family life. “He would quite often work seven days a week, 15 hours a day, and my parents’ relationship broke down,” Ewer explains. 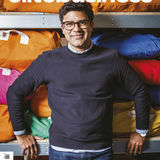 “So the fact that there was this organisation out there helping people create a business that could work without them, that really appealed to me. 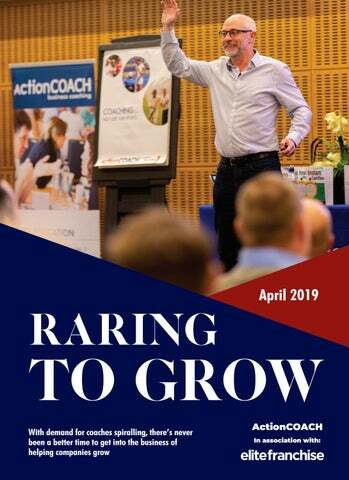 [Also] having played a lot of sport growing up I understood the value of coaching.” From becoming an Action Coach in 2015, Ewer developed further to become a ProfitPlus licence holder. It came as a result of his clients knowing they were hungry for success but not making enough money from their endeavours. “What was missing in their planning was where they ultimately wanted to end up,” says Ewer. “So [it’s about considering] what their dream life looked like and then building a bridge towards that so that we were working towards something greater than simply making it hurt less.” ProfitPlus allowed Ewer and his clients to plan that vision using the tools and systems provided. “Once they connect that journey they then start to believe in it and it transforms the way they approach their business and they can really take the leap forward.” While clients have prospered from the addition of ProfitPlus in Ewer’s offering, he has too. “It’s been transformative for my clients as much as me,” he opines. “From a client’s perspective it’s been fantastic. From my perspective, it’s improved my business, so I’m now making more money, my clients stay with me for longer and that’s a great thing.” Ewer adds that seeing his clients satisfied is also a reward in itself. “So it’s really a double-whammy,” he concludes. JULIE With so many opportunities ripe for the taking through ActionCOACH, Engage & Grow and ProfitPlus, there are naturally many questions. Fortunately, Julie Wagstaff, owner and recruitment director of ActionCOACH UK, has all the answers Do you need previous business experience to own a franchise? No, you don’t. For example, we awarded an ActionCOACH franchise to Steve Gaskell, whose entire previous career had been in the army. He ticked all the attitudinal qualities to qualify and the training and support programmes take care of the necessary skills and knowledge. Can I speak to existing franchise partners about their experience before I consider buying? Of course. As soon as we know you’re serious about becoming a business growth specialist, employee engagement specialist or ProfitPlus adviser we email you all of the contact details of the other franchise partners. We also give you a couple of struggling performers to talk to, along with a couple of average performers and a couple of stars to ensure you get a balanced view of the opportunity and what it takes to be successful. How do I find my clients? We have a host of proven marketing strategies you can use or you can bring on your own marketer to do this for you. You do need to invest time and money in communicating with enough business owners to find the ones who want to grow their companies and are open-minded enough to engage with you to help them achieve their goals. Why shouldn’t I do this by myself? of an average ICF-accredited coach. Thirdly, you don’t need to invest your precious and non-billable time creating and trialling all of the tools that you need to be a successful coach. Fourthly, you receive award-winning support from your peers, the UK support team and from the global support team. This means you need never have a bad day, it can just be the odd bad few minutes that get sorted in a phone conversation. Fifthly, you’re associated with quality and success. “It really helps to be part of a big and successful organisation,” attests Stephen Unwin, one of our ActionCOACH franchise partners. “We have various conferences during the year and I am keen to attend them all if I can. The knowledge and experience gained from talking to Action Coaches and the support provided by ActionCOACH as a franchisor helps me not only to continue growing my business but also the businesses of my clients.” Finally, you’re guaranteed the business will deliver a great monthly income, meaning you’ll enjoy peace of mind. Of course, this is as long as you put in the proven marketing investment and use the tried and tested UK sales process. I could go on but you probably get the picture. Quite simply, if you meet our criteria to become a business growth specialist, employee engagement specialist or ProfitPlus adviser, you can invest the minimum personal contribution you need, you’re willing to invest a year or two building your client base and learning the best ways to get results, then I haven’t seen better options. What does it take to succeed? An open mind, an appetite for learning, an investment mindset and a drive and focus to work hard and smart. But that’s true of most businesses, right? Well, you also need to be the kind of person who gets a genuine kick out of helping people succeed – being a team player is a must and a genuine interest in the business of business definitely helps. How many hours will I have to work? That depends how much you want to earn and whether you bring on someone to do marketing, selling and/or admin for you. We’ve had someone spend as little as two days a week running Engage & Grow programmes and the ActionCOACH licence allows you, over time, to step out of the business completely.